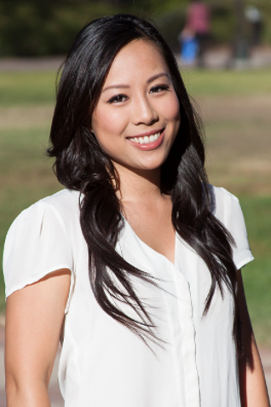 Tiffany Tran is currently a graduate student researcher in the Molecular, Cellular & Integrative Physiology Interdepartmental Ph.D. Program at UCLA. She received a Bachelor of Science in Physiological Sciences from UCLA in 2011. Since graduation, she has investigated the role of non-coding RNAs in B cell oncogenesis as a Staff Research Associate in the lab. Currently, her research focuses on delineating the role of RNA binding proteins in hematopoiesis and leukemogenesis. As a graduate student researcher, Tiffany hopes to uncover novel post-transcriptional regulatory networks and give insight to potential targeted therapies in B cell malignancies. Outside of the lab, Tiffany enjoys camping, hiking, playing tennis, and volunteering in the community.